With Christmas behind us, many people will be rejoicing at being able to close their wallets and step away from the gift stores. However, it might be a little premature to stow away the Benjamins, for Valentine’s Day is just around the corner. Then there are birthdays, anniversaries and plenty other opportunities to put further dents in the bank balance. If you want to get ahead of the game and treat the man in your life to a gift he’ll just love, we’ve included six options below. You may find you’ll hit the jackpot with any of these options. If your man has a love for the outdoors and off-roading, you can do no better than LED light bars for his beloved truck. LED light bars are the perfect accompaniment to any outdoor enthusiast’s 4WD, and can light up the darkest back road for optimum safety. You’ll never be able to wipe the grin off his face if you purchased him some of these bad boys! The football season may be drawing to a close, but with the NBA in full swing and MLB just around the corner, your significant other will love the chance to sport that big foam finger while watching his favorite team. Tickets to a big game will be the perfect memorable experience for the passionate sports fan. Believe it or not, attire makes an excellent option, and in today’s health and fitness-conscious world, activewear is the wearable gift of choice. Men make up a growing proportion of the estimated $178B global sports apparel market, so forget about the socks, underwear and ties and go for something that he will love, as well as being practical. However, not just any old Walmart tracksuit will do. Go for known brands such as Reebok, Nike, and Adidas that are sure to impress. If your man is forever engaged in the next big project with his vehicles, or he just likes to spend time in the garage tinkering away, consider purchasing a workshop set for him. “I don’t need any new tools,” said no man, ever, so you really can’t go wrong with this one. That’s not to say you shouldn’t be selective. From now until Valentine’s Day or his birthday, pay attention to what he has, uses, and what he says he needs so you can be sure to hit the mark. How many times have you said to your boyfriend that he needs to get rid of his cracked and peeling wallet, or his tatty belt? Accessories, while important, often don’t feature highly on any man’s list of things to buy for themselves. Even though digital wallets are beginning to gain traction, guys are not showing signs of giving up their bulging monstrosities anytime soon. If left to his own devices, he will keep using it until it is five loosely bound wallet molecules, so it’s up to you to rip that bandaid off and get him a new one! The dog might be man’s best friend, but a brew kit is sure to be a close second. Not only can he enjoy a cold brew after a hard day’s work, but he can also enjoy the fruits of his labor. A brew kit can offer a sense of satisfaction, and may even open the door to a whole new hobby that you and his friends can also enjoy with him. Choosing a gift for your man for Valentine’s Day, his birthday or other special occasion can be challenging, but it’s not impossible. Opt for one or more of these six presents, and watch as his face lights up! Buying certain brands can help children in the United States and other countries lead healthier, more fulfilling lives. If you want your purchases to make the world a better place, consider buying from these four brands. 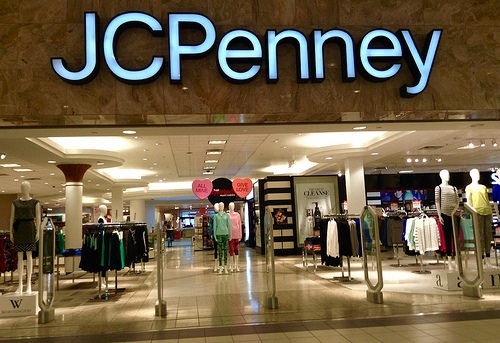 JCPenney does more than operate department stores across the United States. It also runs several charity programs dedicated to improving the lives of children. JCPenney Cares stands out as one of the company’s most successful endeavors. The 501(c)3 charity donates money to programs that give children healthy, safe places where they can stay engaged outside of the classroom. Some of the partners JCPenney Cares supports include Boys & Girls Clubs of America, No Kid Hungry, and the YMCA. You can help support JCPenney’s efforts while saving money. Start by getting coupons from Goodsearch and this Facebook page dedicated to JCPenney Goodsearch coupons. When you buy a pair of TOMS shoes, the company donates a new pair of shoes to needy children living all over the world. This program has become very popular, so you may already know about it. TOMS, however, does more than send shoes to developing countries. It also has charity programs that provide clean water, training for birth attendants, and a range of services to improve eyesight in children and adults. In the United States, TOMS tackles the problem of bullying. When you purchase anything from TOMS High Road Backpack Collection, TOMS gives money that supports crisis counselors and school staff, so they know how to prevent bullying. Warby Parker takes the buy-a-pair, give-a-pair concept to a new level. Instead of simply giving glasses to children, the company trains men and women in developing countries, so they can provide eye exams to people in their communities. Warby Parker then provides these trained professionals with enough money to purchase the number of glasses they need. Men and women who receive training can then provide low-cost eye care and glasses to their communities. It helps the professionals earn a living while giving people in developing countries an affordable way to get the glasses they need. From Warby Parker’s perspective, this arrangement makes it possible for children to receive affordable glasses and lets adults earn reliable incomes. Instead of creating a culture of dependency, Warby Parker’s charity efforts give people a sustainable way to earn incomes and help the people around them. Childhood obesity has become a serious health problem in the United States. Reebok’s BOKS program attempts to lower obesity levels by providing before-school physical activity programs. BOKS currently works with over 1,000 schools. Before-school exercise does more than just help children shed pounds. It also prepares their minds for a full day of learning. The program has received praise from several notable people, including First Lady Michelle Obama. You can help Rebook fund this program by using Goodsearch coupons and visiting the Coupons for Good Rebook page. Where you shop and what you buy can have an effect on the lives of needy children all over the world. By making knowledgeable choices, your next shopping spree could make a child’s life better. With the return of the sun and temperatures nudging, numerous people will be hitting the stores for some summer essentials especially clothes. Here are some summer trends of 2014 that will freshen up the wardrobe. There is no doubt that denim has gone deluxe. Marc Jacobs confirmed this in his final show at Louis Vuitton. To keep up with this trend, you can purchase and wear sheer embellished tops, boyfriend jeans and heels or choose double denim. Alternatively, you can wear patchwork jeans and a denim shirt. Patchwork jeans are available at Karen Millen. Deluxe denim will do fine with patterned or white court shoes. leather joggers, suede sporty shorts and any piece with shear panels. Suede sport shorts or dressy sweatpants, a grey marl tee and heels would make a perfect combination. It is not surprising that pastels are fashionable for summer. A blurred floral sweatshirt coupled with a pleated mini skirt will do just fine. Pastel botanical knits and pastel lace twinsets are also an awesome addition to your wardrobe for summer. Tropical florals are always hot for summer. You can wear a tropical floral top-shirt with bright white culottes and you will look amazing. If anything, culottes are some of the coolest trousers of the season. On cooler days, tropical florals can be worn with loose-fit black blazers, flat slider sandals (preferably white in colour) or clashing top-shop heels. Dior has numerous tropical florals. Art school is one of the most recognizable summer trends of 2014. Art school is seen at Celine, Prada and Chanel through their brush and colour-blocking strokes, and paint swirls. Art school is all about amazing prints and vibrant colours. Zara has a cool collection of art school including geometric print trousers. You should reach for something that glitters this summer. Most fashion houses such as Miu Miu, Prada and Louis Vuitton are using sparkle, shimmer and costume jewellery fancies on collars, dresses, tops and any other inch of fabric they can get. They are some many fashionable old and new summer trends out there, the choice is yours. Some are simple and classy while others are quite complicated since fashion knows no limit. UK Catalogues are a great place to find the latest Summer trends at great prices! You can even spread the cost with interest free credit if you so wish. For an in-depth guide to the UK’s catalogues check out Catalogues247.co.uk. They have unbiased reviews of the top UK clothing catalogues as well as the latest discount codes with up to 20% off! Are you a Sucker for SALES? The other day I brought my son to Toys R Us to spend a gift card that he got from his uncle for his birthday. I was excited for him. 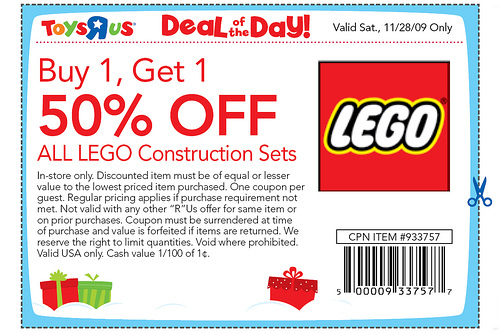 Even as an adult, I still love Toys R Us. Walking in and seeing all of the fun things and thinking about what my children would like is such a nice feeling. There is nothing better than buying gifts for our children. I love seeing their little faces light up, knowing that I bought something that they will really enjoy. 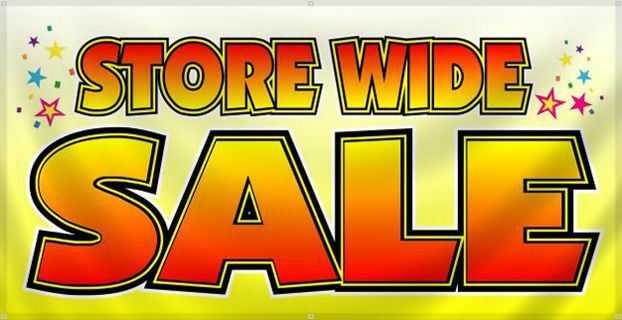 Well, that day that we walked into the store, they were having a store wide sale. Most of the big name brand toys were buy one and get the second for half off. My 6 year old son wanted only 2 things – Legos and Transformers. And guess what? They were on Sale! We went in with a plan. I told my son that he had $25 to spend and that we could not go over that. I wanted to teach him that there are limits. But when we got into the store and I saw all the sales, the temptation was so strong to buy MORE than what we had intended to. The lego display was in the front of the store and my son picked out a lego set that he liked. I then picked out another one to go with it since it was half off. Then we went to check out the Transformers and my son picked out one that he liked. I then proceeded to pick out a second transformer because of the sale. So, we wound up with 4 toys in the cart and they were definitely over $25. I tried to get my son to pick either one, the legos or transformers and he reluctantly picked, but I knew that he wanted both. I thought about what my intentions were and that if I purchased all the toys just because of the sale, I was actually being really greedy. I knew my son wanted one lego set and one transformer, so I decided that we would put the second toys away and forget about the sale. But man was it hard! Why do we get sucked into these sales even though we don’t NEED the extra stuff? Does this happen to you? When you see a good sale do you go for it? Do you battle with yourself? Why is it so hard to just say no and be responsible with money? A lot of times we don’t realize that these so called “sales” can really cause a dent in our wallets. We probably don’t even need the sale item. Yes, there are times when sales are great and I do enjoy taking advantage of them when I find them, especially if it is something that we need. But there are also times when I get tempted with a sale for items that I may want, but don’t actually need. If you also are one to struggle with SALES, please share. I would love to hear your thoughts on this subject!